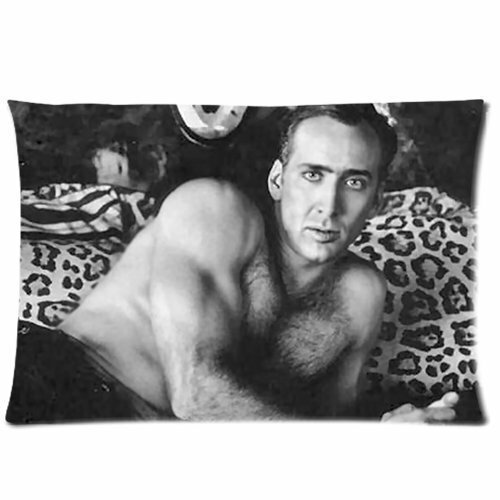 The Nicholas Cage pillow case. Yes, you too can give the gift of Nicholas Cage dreams to that special someone on your list. Imagine the thrill of waking up next to that… buh-bye snooze button, hello to being at work early! This entry was posted in 12 Days of Mountjoy, holidays, snark. Bookmark the permalink. Oh God I wish i hadn’t seen that. How many of those do you think Lindsey Graham has? No. I will not click the image. Ugh. That’s OK. I’ll sleep on the couch.